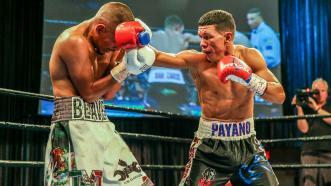 Looking to take another step towards becoming a 2-time world champion, former 118-pound titlist Juan Carlos Payano stepped in to a 10-round bout with veteran Alexis Santiago. 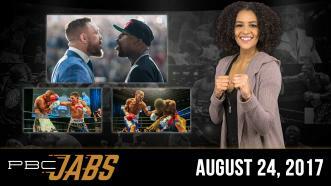 This week on PBC Jabs we check in with Floyd Mayweather Jr. before his August 26th fight, plus we recap our August 22nd PBC on FS1 show and we preview the special FS1 Friday edition matchups! Looking to take another step toward becoming a two-time world champion, former 118-pound titleholder Juan Carlos Payano earned a 10-round unanimous decision over Alexis Santiago in a PBC on FS1 main event at Sam's Town Live in Las Vegas. 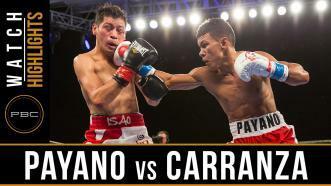 Juan Carlos Payano rebounded from his first career defeat with a dominating seventh-round stoppage win over Isao Gonzalo Carranza. Rau'shee Warren avenged the only defeat of his pro career, dethroning 118-pound champion Juan Carlos Payano by majority decision. 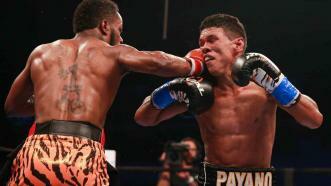 Rau’shee Warren dethroned Juan Carlos Payano in a majority decision in a bout that was closely contested. 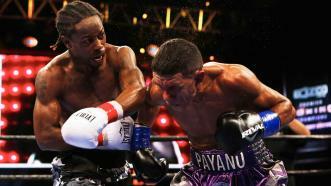 Rau'shee Warren outboxed Juan Carlos Payano in a 118-pound title rematch and dethroned the champion in a majority decision. 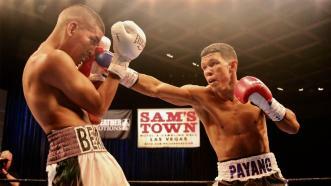 Juan Carlos Payano remained undefeated with a split-decision victory over three-time U.S. Olympian Rau'shee Warren.